Is your CRM software fully integrated with the other tools your business is using, especially for communication and scheduling purposes? If it’s not, you’re almost certainly not benefiting to the fullest extent possible, and you’re likely wasting a lot of time in the process too. CRM integrations extend the functionality of the software, while decreasing administrative work for your employees. 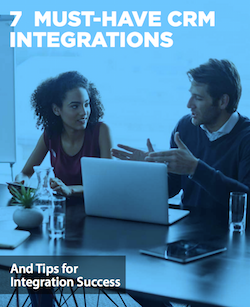 To learn more, read this guide on 7 Must-Have CRM Integrations.